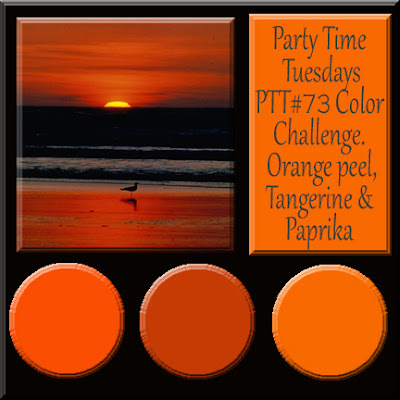 Today, I am excited to be a SweetStamps Guest Designer at Party Time Tuesdays!! Use either the colors or the picture...or be adventurous (it summer!) and use both!!! This is my sample card using Pixie Silhouette from SweetStamps. I used my Copic markers to color in the background. I didn’t really have a rhyme or reason to do it this way…It just sort of happened to come out this way…which I like!!! Don’t you like it when things just fall into place!! I kept the card fairly simple because, I wanted the attention to be drawn to the image itself. So I hope that you play along with Party Time Tuesdays this week as they have great sponsors giveaways too!!! Super card with wonderful summery colours.